Shambhala Day is a time for us to express the wealth and richness of our spiritual and cultural heritage through feasting, conviviality, and elegance. Many local Shambhala Centres plan activities throughout the week following the New Year’s Day. Each year, Sakyong Mipham Rinpoche addresses the worldwide Shambhala Community via a live online broadcast with centres and groups in more than 25 countries around the world. Milarepa Day celebrates the enlightenment and life example of Milarepa. The celebration involves a full day of practice, which includes chanting the Milarepa sadhana and reading the songs of the lineage teachers in The Rain of Wisdom (Tib: Kagyü Gurtso). 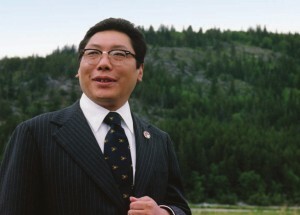 The parinirvana of the Vidyadhara, Chögyam Trungpa, Rinpoche is commemorated on April 4. 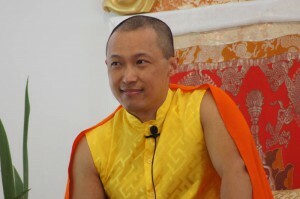 It is a day for the Shambhala sangha to gather together to celebrate his life and teachings. Over the years our community has adopted a tradition of celebrating the changes of the seasons. These are called “nyida” days from the Tibetan words nyima (sun) and dawa (moon), and they occur on, or near, the days of the equinoxes and solstices. Nyida days are family-oriented celebrations and occasions for local Shambhala communities to gather socially. Midsummer Day observes the summer solstice; the Harvest of Peace, the autumn equinox; Children’s Day, the winter solstice. Shambhala Day is our annual celebration of “losar” or the new year according to the Tibetan calendar. Since it typically falls in February or March, it takes the place of observing the spring equinox. Harvest of Peace, held around the time of the autumn equinox, is an opportunity for local communities to gather, hear teachings by Sakyong Mipham Rinpoche, and celebrate the riches of our local cultures and heritage. The Sakyong addresses the international community through a live broadcast delivered through a telephone link with Shambhala Centres around the world. Celebration of the winter solstice has its roots in many different cultures. The Shambhala community has drawn on traditional images associated with this time of year to create a distinctive and rich festival of our own. December 21st provides a special opportunity to express appreciation for, and with, our children. At a time when the weather begins to bear down upon us, we turn to family for celebration, creativity, and generosity. Because the solstice marks the time of year when the daylight has waned and the night is longest, light is a special characteristic of this holiday.